Here’s something that’ll blow your mind. 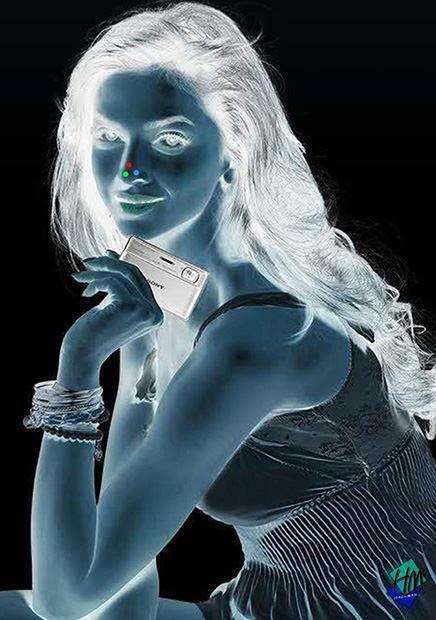 Stare at the coloured dots on this girl’s nose for 30 seconds, then quickly look at a white wall or ceiling (or anything pure white) and start blinking rapidly. Congratulations, you just processed a negative with your brain! In the summertime, on Martha’s Vineyard, Kate Taylor and I somehow find each other while she plays her guitar and I play my camera. On a dark Chicago night, like tonight, she posts one of the pictures on her facebook page and as I sit here at the computer I watch all of her fans immediately rave really nice things. And you’ll be able to see some new pictures at the end of this summer … Love You Kate! Susan McConnell was tagged in Kate Taylor‘s photo. We watched this movie before Doug swam the English Channel and I thought it was okay. On a quiet Saturday night we just watched it again and now I think it’s my favorite movie. Funny and full of English Channel chatter with some great pictures … it’s gonna get ordered from Amazon today.